My Wife Peggy is part of Premiere at Gasworks, a new Gasworks Arts Park initiative designed to assist artists and creatives stage their new, original Australian productions for the first time. It’s his birthday. It’s George’s birthday. Well was. Yesterday, it was his birthday. 42. He’s 42 years old. And god does he feel it. His wife keeps me young though, Peggy, and the girls. His girls. He’s got two little girls. Little rat bags more like. But he loves them. George seems to have it all. A simple life for a simple man. And nothing will change that. But tonight, on his birthday, he will come face to face with the brutal hand of fate and confront the unknown that we all fear…death. My Wife Peggy is a new Australian work from Melbourne based theatre maker Gavin Roach. Developed through Script Nights at Gasworks Arts Park and now part of the Premiere at Gasworks season, this work sees Roach re-team with Melbourne based actor, Dallas Palmer, to explore the emotional depths of grief and loss. Mounting new Australian work can often feel like an impossible task. Productions are put together with grit, passion, determination and the smell of an oily rag. Or worse, scripts can often remain unproduced for years, left in a draw gathering dust and faded hopes that it will ever see a stage. With the backing and support of an established venue like Gasworks Arts Park, the creative team behind My Wife Peggy have the chance to further explore the themes of the work, allow time to flesh out the vision and bring the production to the stage. Donations will allow the creative team time. Time to work over the script and effectively discover how best to present this work on the stage. The team is committed to creating an honest and entertaining work of a high standard, which will move audiences and reflect the world around them. The Australian Cultural Fund campaign will also go ensure that the creative team are adequately paid for their work and will guarantee that the work is properly marketed to reach a wide range of potential audiences. My Wife Peggy will be debut in August 2019, running from 27th of August to 7th of September at the Gasworks Studio Theatre. In 2016, Gavin Roach adapted Daniel Witthaus’ book BEYOND PRISCILLA for the stage, which he produced at Gas Works. 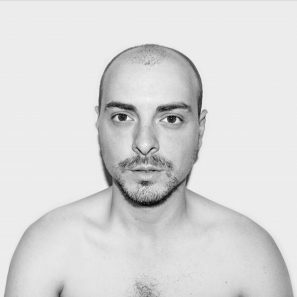 He was the writer/performer of CONFESSIONS OF A GRINDR ADDICT, which debuted at Sydney Fringe (2011), and has toured the show both locally and abroad. Since then, Gavin has written and performed several other one-man shows; GETTING MY DAILY GRIND (2011), ANY WOMB WILL DO (Sydney, Melbourne, New Zealand), I CAN’T SAY THE ‘F’ WORD (Melbourne, Perth, New Zealand) and he is currently touring his latest work, THE MEASURE OF A MAN. His directing credits include WOLF LULLABY (2006), LIEBRE ARCHIE (2009), and IN THE COMPANY OF ANTS (2010). Gavin, graduated with a Bachelor of Arts, Acting for the Screen and Stage (2003) and a Bachelor of Arts, Acting for the Screen and Stage (Honours), from C.S.U. (2006), he also holds a Masters in Arts Management from U.T.S. (2011). Gavin most recently completed his Masters in Writing for Performance at VCA (2015).